Tony is a professional individual who prides himself on his expertise and his drive to find solutions through consulting and advisory services. 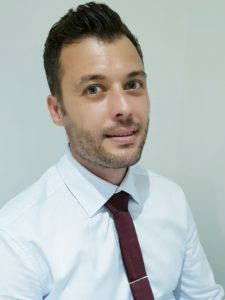 With a Bachelor degree in Chemical Engineering RMIT along with his 15 years experience in all engineering disciplines, Tony is someone who leads a unique team to invent, design, analyse, build and test machines, systems, structures and materials to fulfill objectives. Innovative Solutions are the heart of this operation and we pride ourselves in creating and designing an innovative solution to improve systems and manufacturing procedures. Tony leads a team of professionals who believe that efficiency and precision like most things go hand in hand and therefore work autonomously with the most up to date and relevant technology to provide you with a solution. T.K Engineering Solutions carefully listens to your needs and confidently delivers you a budget conscious solution that will perform. The skilled team has the ability to think outside the box and utilize existing infrastructure to mitigate costs.